> Software Development Life Cycle (SDLC) is a process used by the software industry to design, develop, test and maintain quality software. It is also called Software Development Process. We have Four Levels of Testing for General or Independent Software Applications and Testers may vary from One Test Level to another. Testing integration or interfaces between components, interactions to different parts of the system such as an operating system, file system and hardware. Testing an integrated System to verify that it meets specified requirements. We have different types of Acceptance Testing, User Acceptance Testing, Operational Acceptance Testing and Certification Testing. Static testing is the testing of the software work products manually, or with a set of tools, but they are not executed. 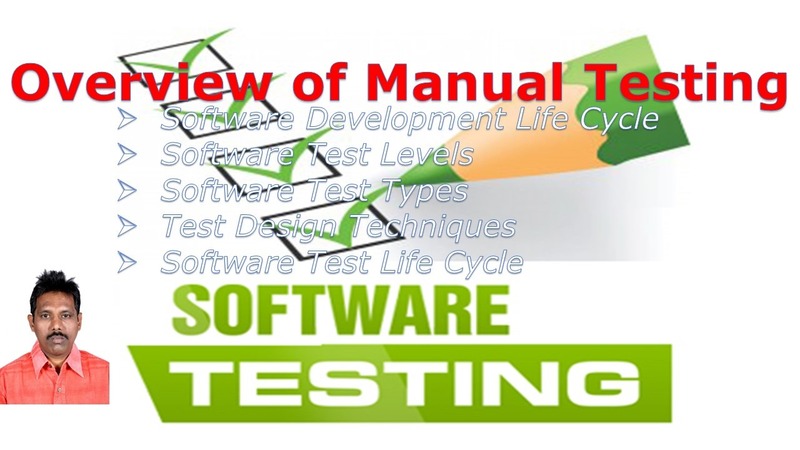 > Testing that involves the execution of the software of a component or system. Improvement suggestions for future projects. A high level (company level) document describes principles, approach and major objectives of the organization regarding Testing. A high level document of the Test Levels to be performed and the Testing within those levels for an Organization. A document describing the scope, approach, resources, and schedule of intended activities. An item or event of a component or system that could be verified by one or more Test cases. A set of input values, execution preconditions, expected result and execution post conditions developed for a particular objective or Test condition. Data that exits before a test is executed and that effects or is effected by the component or System under test. A document reporting of ant flaw in a component or System that can cause the component or system to fail to perform its required function. A document summarizing testing activities and Result. It also contains evaluation of the corresponding test items against exit criteria.